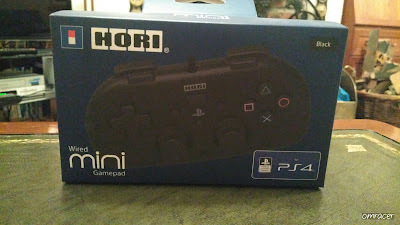 So, the second to possibly last review this year, which for this one we go out with a start and get a Hori PS4 Controller done. This one has recently been out and Soon to be a maybe good seller from everywhere like Amazon. 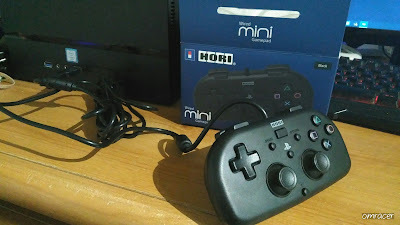 This is a decent Deal and we test how this controller can perform too, the video is below. 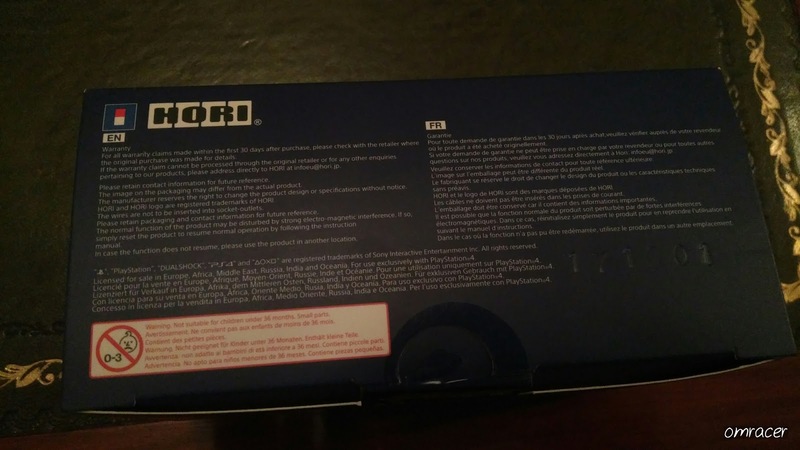 This is a small, compact box with lots of detail, pictures and small print, so theres more to read but its important to be read, lets be clear there. 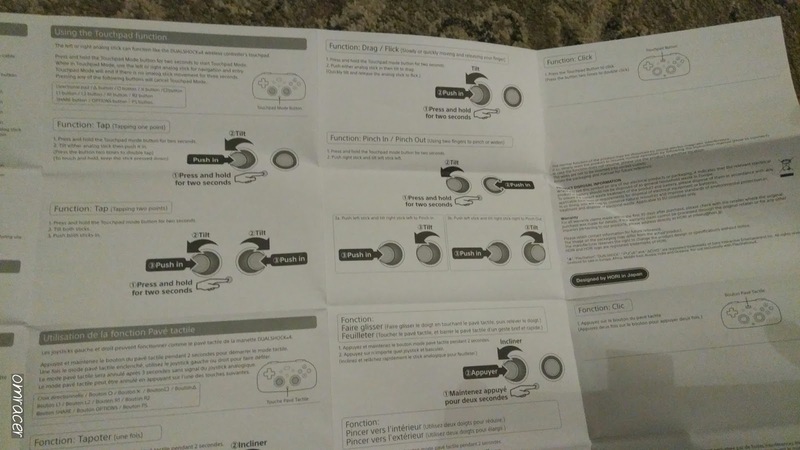 The ease of pictures is clearly shown on the front and sides. 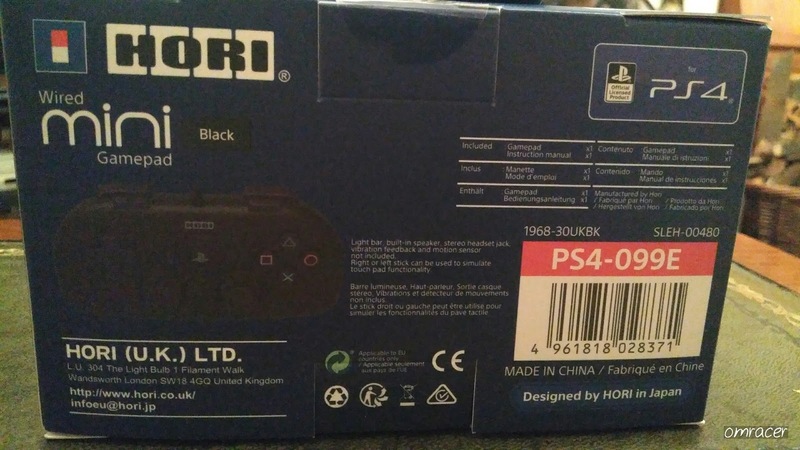 When we get to the back of the box, that is where the real details and small print come to fruition, this allows you to know what the pad can and CAN'T do such as no virbration, motion sensor, no speakers or headphone jack. But that also helps make it the price it is and attractive too. The bottom is full of warranty and the small print, which is not much of a worry for most. This is actually not as easy to get out, okay sure a knife to remove the tape is not too bad but its pulling it out of the cardboard which makes it tricky if you want to keep the cardboard intact. 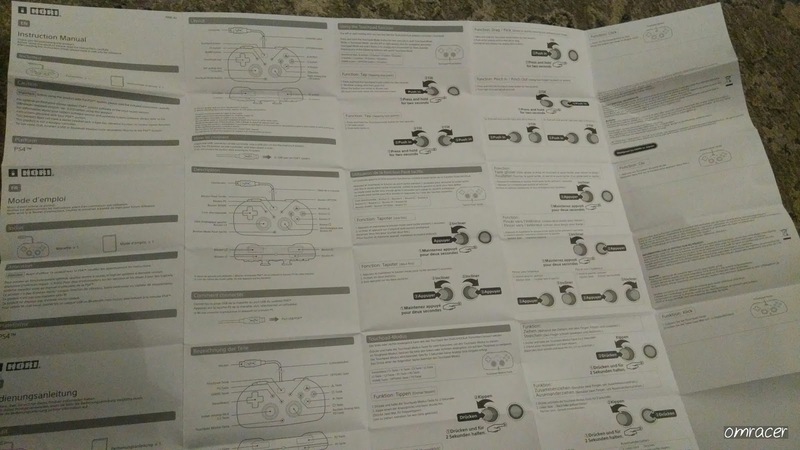 But once you have lifted it, it actually is nicely laid out. 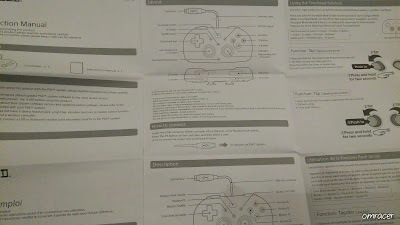 With the manual at the top and the Controller in the bag with cable at the bottom. 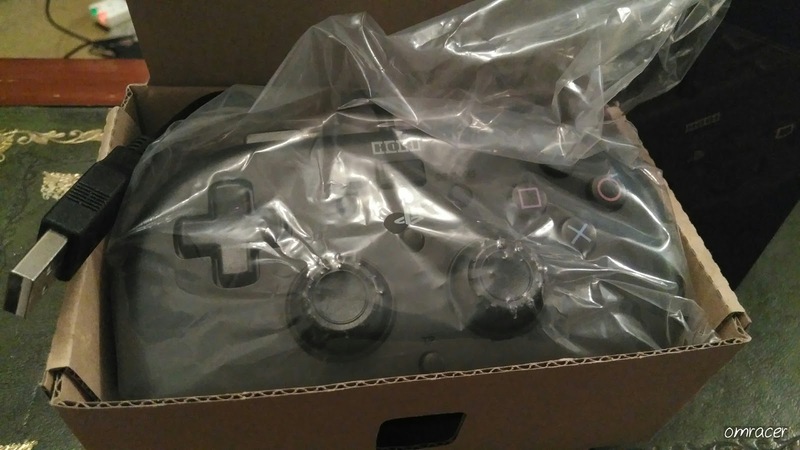 You only get the manual and the gamepad, nothing else, which is easy to deal with. The manual is pretty big and dense (due to the languages), those folding ones I always have trouble with but none the less, its useful for how the touchpad works. The top part of the manual. 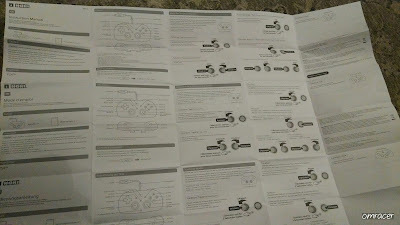 The bottom part of the manual. The controller really is mini, its very lightweight too, which can be a good and a bad thing, my big hands almost cover the gamepad completely so its not going to make things accurate in one away or another. The Dpad looks better as well. 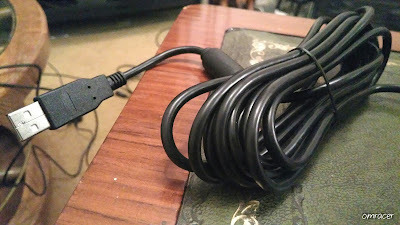 The cable was tied but actually looked quite long as well, thats a nice bonus for most. 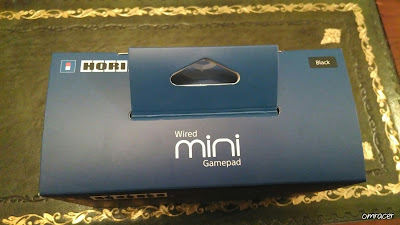 Well to set it up, its a plug and play affair. 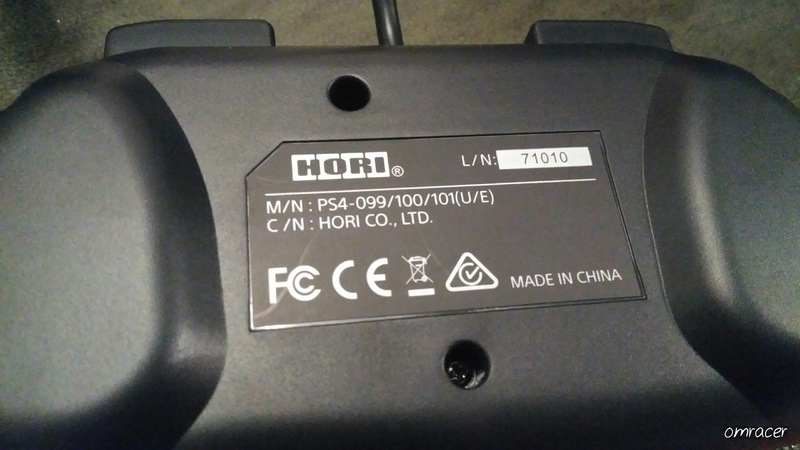 In the PS4, it does NOT let you turn the console on with the controller, so be aware that might upset some but USB controllers never have that ability anyway. But it was ready to get up and go,, plugged it in on the login screen and up and running. 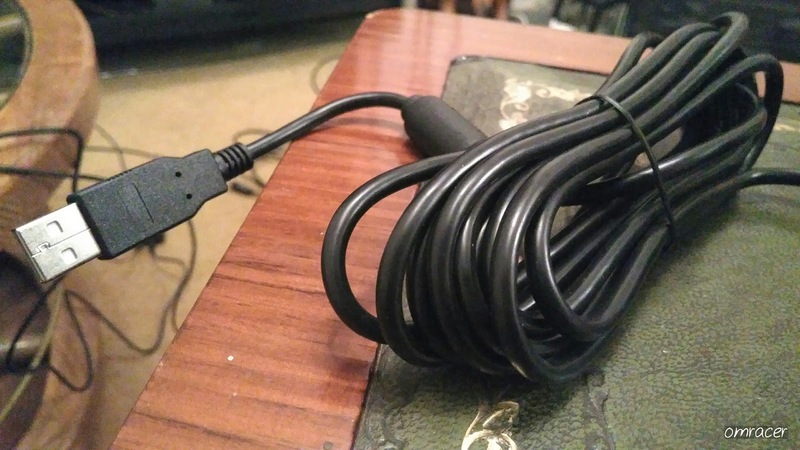 There might be a bit of a strain on the top part of the USB cable near where the controller connects, but that isn't too much of a niggle due to the length of cable. 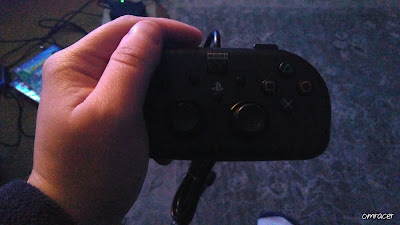 The clicking on the analog sticks is loud but not annoying, but the grip of them is nice. 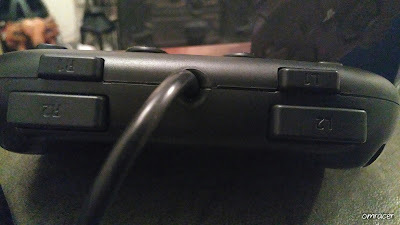 The hands taking up most of the controller. 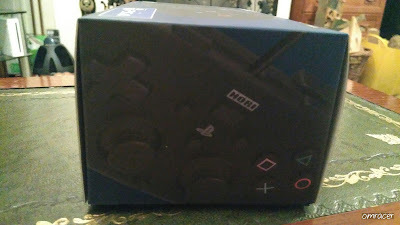 Test #1: WipEout: Omega Collection. This initially felt smooth and I could control the craft better, using the airbrakes can be a bit trickier and tilting has always made it harder on any PAD, but i managed to only be 8 seconds off the elite pass time limit. Which since not playing from July, it was my own bad too. This was a little bit trickier, but only on some of the levels I did misplace my timings on the buttons, Hang Eight was a decent example of this, but I was part speed running due to the Gem time limit, but there was a tiny bit less issues with the Dpad moving on its own, the ice levels that did happen a bit more. But helped me finished the first warp room in just under 1 hour (gems and Crystals), so it didn't stop any major issues. I did mention that there should be no issues for getting this working on PC, I was ~Right. It was picked up with no hassle in windows itself. Steam did have some issues with button mapping and the dpad not working until it was configured. The Gamepad into the PC. 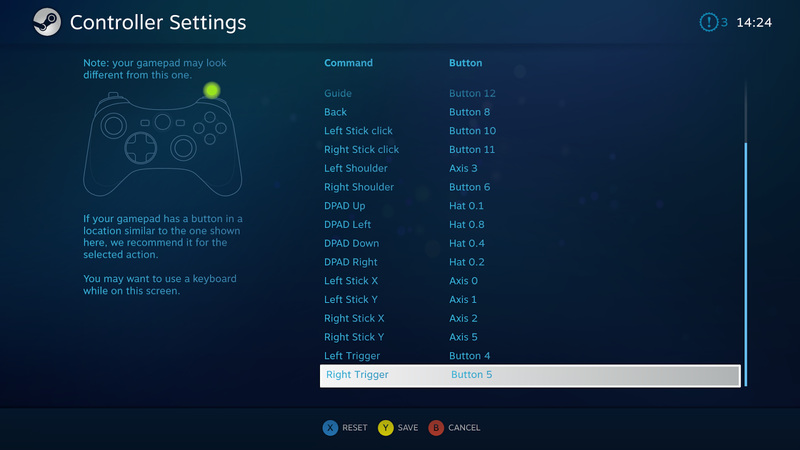 Setting up the controller in Steam Big Picture Mode. 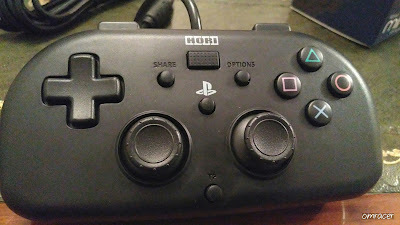 I have managed to upload the controller profile. This was actually trickier to use due to the size of the controller, I was also doing the rapid tap LT motion to make stronger hits by switching weapons, that didn't help. 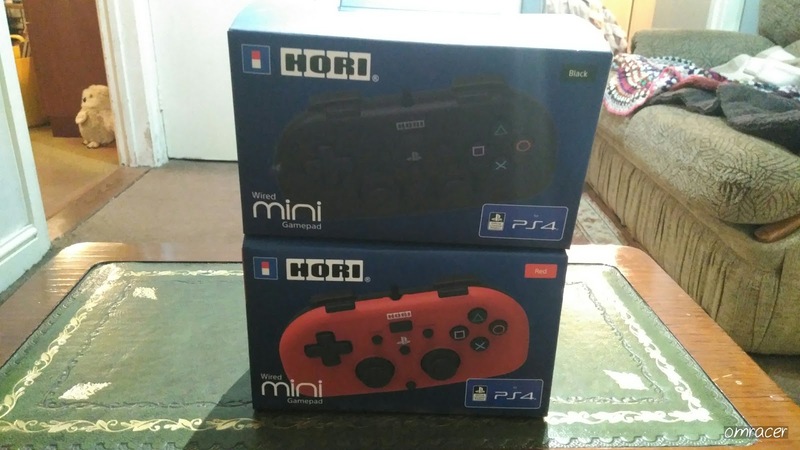 The sticks were smaller which can make it hard to move quickly to get parrying easier, but for casual gaming, it would do nicely. This was requested and actually, it WORKS. 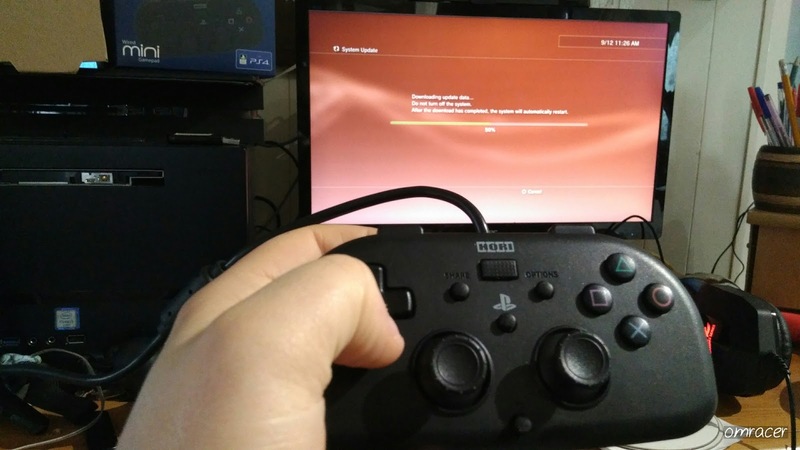 Like WORKS in the XMB with no quibble, i manged to update the PS3 for it and also test BBC iPlayer, which actually Does work but there is a problem with the PS button not working. 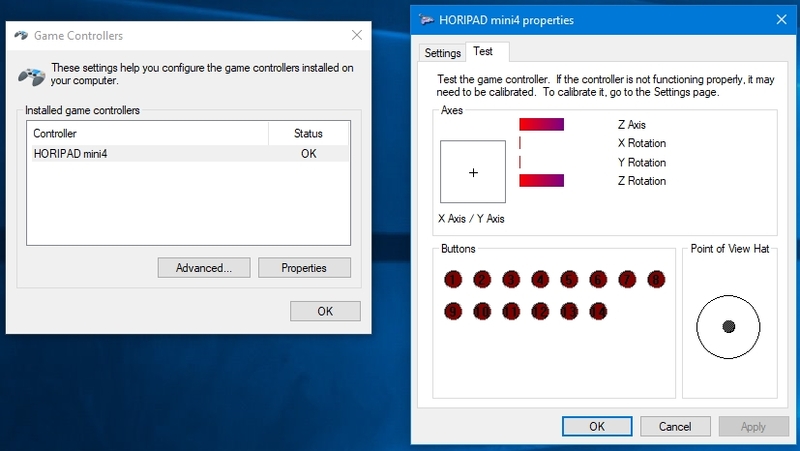 aka, you can't get to the in game XMB with the controller, this is for some a major crisis but it can work in the basic sense. This has some potential and it performs well for smaller gamers and also retro ones alike. 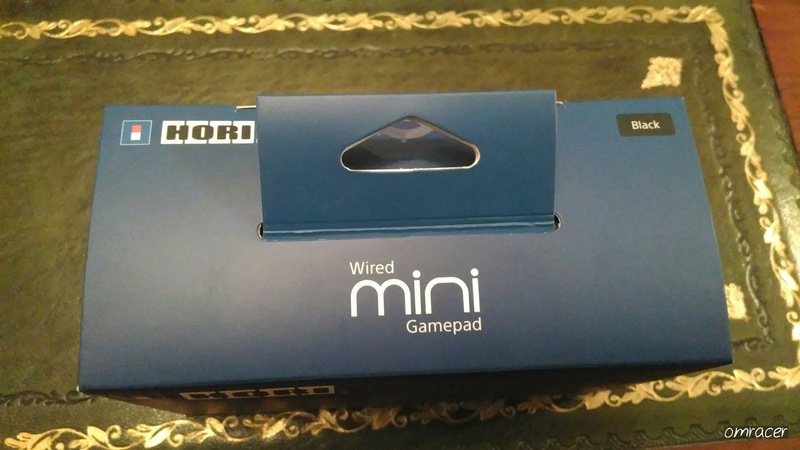 With USB. 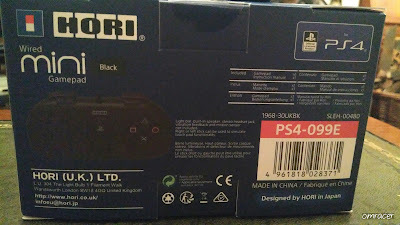 Almost anything can work with this, not just a PS4. Which has many uses on this one. This is aimed at smaller gamers so not everyone will benefit. Some features missing that people need to READ before buying.